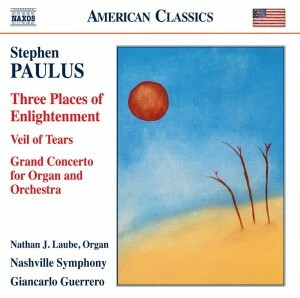 …And the GRAMMY goes to….the music of Stephen Paulus! On February 15, the 58th Annual GRAMMY Awards took place and two recordings featuring the composer’s works were honored with GRAMMY-gold trophies! 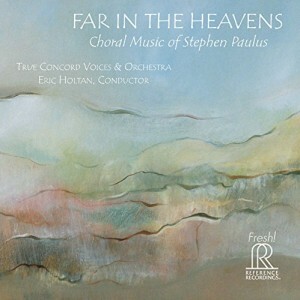 Paulus’ choral work Prayers and Remembrances – recorded by True Concord Voices and Orchestra with Music Director Eric Holten — was named “Best Classical Contemporary Composition.” The work is featured on the ensemble’s first international release “Far in the Heavens: Choral Music of Stephen Paulus” (Reference Recordings FR-716). “I can’t imagine,” Holten shares, “a more fitting honor for Stephen Paulus and a life and career dedicated to writing music of immense beauty and inspiration. I’m very happy for Patty [Paulus] and their sons to be able to bring home this award for an American luminary and tremendous human being whom we all loved and lost too soon.” Prayers and Remembrances was commissioned by True Concord (formerly known as Tucson Chamber Artists) and premiered on September 11, 2011 as a tenth anniversary memorial of the 9/11 tragedy. In spring 2015, the group recorded the album. The disc was released on September 11, 2015 when True Concord also performed the New York premiere at Lincoln Center’s Alice Tully Hall. The recording also showcases some of Paulus’ more recent choral works and previously unrecorded pieces including Nunc dimittis, The Incomprehensible, I Have Called You By Name, Little Elegy, and When Music Sounds.